Everyone has a story of how they started in triathlon. For some, it is a challenge, or a way to compete. For some it is to finish, and for some it is to win, while for others it is to keep getting better, stronger, faster, fitter. And for some, it is a road to healing, of reclaiming identity. Let me introduce you to Renee, from Duluth, MN, and to share a little bit of her story that touched my heart. I hope you’ll be moved as well. In 2004, Renee found out she was pregnant with her first child, but weeks 17-29 of her pregnancy was spnet lying in a hospital on her right side. She had lost all but a few centimeters of amniotic fluid, and this was the best position for the baby. Miles was born at 29 weeks, and lived for 9 hours. Heartbroken, she left the hospital unable to walk after having spent 3 months bedridden in one position. Physical recovery was slow as her body had to learn to move again; emotional recovery was even slower. Wanting to try for another baby the next year, Renee was put on an aggressive corticosteroid regimen to try to fight off any possible inflammatory response her immune system would have to the pregnancy. It also caused her weight to soar to over 200 pounds, but when they found out she was pregnant, she was still optimistic. This second pregnancy, however, was unfortunately similar to the first. She gave birth to her daughter, Julia, at 21 weeks. She lived for 6 minutes, and was buried next to her brother. They decided not to try again. Lost in the midst of depression, anxiety, PTSD, overwhelming grief, and memories of her children, even alcohol and prescription drugs proved no escape. There was hopelessness, and more weight gain. Finally, Renee turned to a grief counselor, and the couple decided to pursue adoption. They were chosen by a birth mom in the spring of 2007, and several months later they surprisingly discovered that they were also expecting again. They decided to let the pregnancy run its course on its own, bracing themselves for the worst. They brought home their adopted daughter, Joscelyn, in October of 2007 at 2 days old. Against all odds and having to fight through a fragile pregnancy, their daughter, Olivia, was born just 9 weeks early in February of 2008. 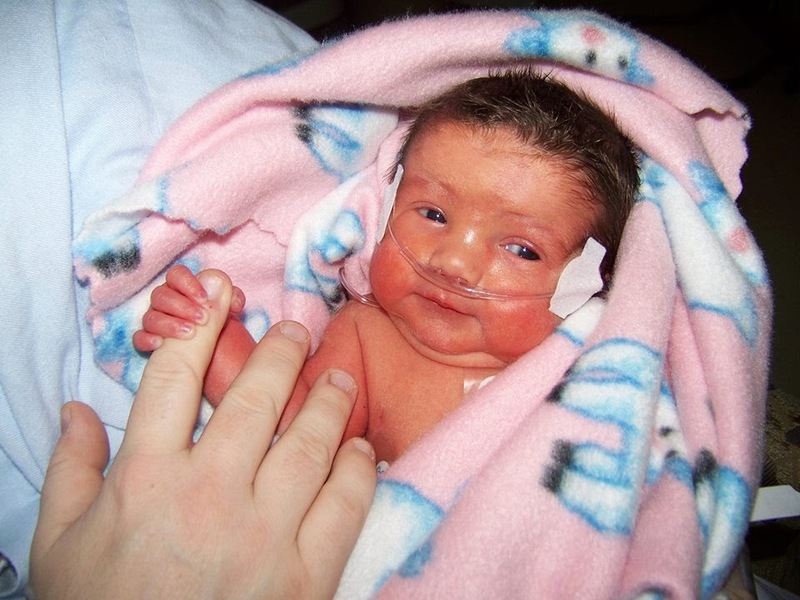 She spent 5 weeks in the NICU, before she was able to come home. Alive. Renee now had more reason to live than what she had felt just a year prior. Olivia was her 7th pregnancy, and fourth invasive abdominal surgery, and having spent years on steroids, the scales tipped at 238 pounds (though only 5’4”) by Olivia’s first birthday in 2009. After being diagnosed as pre-diabetic, and a weight loss pill not helping, Renee started running. She lost 5 pounds, then 10, and then ran a 5K in memory of the children she lost. The next year, in 2010, she ran her first half-marathon in 2:45 at 215 pounds. Running reminded her of how good it felt to be alive. In 2012, after finishing another half marathon with weight down to 190, she found out she had a stress fracture in her hip. It proved to be more than physical setback with time off with physical therapy. Running had also been an emotional release of the sorrow that would never fully heal. Depression set in, the drinking returned, and so did the weight. The optimism was gone, and so was the newfound hope. In the fall she was able to start swimming, but could not run yet. But Renee was not a swimmer. She went to the pool anyway, and while surrounded by ultra-fit triathletes, she painfully breaststroked (the only stroke she knew) for 20 minutes before escaping, feeling defeated. She returned anyway. Renee ended up finding encouragement and inspiration from those crazy triathletes, and learned how to swim freestyle, and was encouraged to join a triathlon team. The weight also began to come off, as she spent every opportunity at the pool and she learned to eat to fuel instead of soothe. In 2013, Renee competed in five triathlons, and even qualified for the USAT National Championships. Blown away by the achievements that she never dared dream possible, and being provided such support and encouragement, she is overcome with gratitude and joy. She is also almost 90 pounds lighter than she was at her highest of 238, and despite the surgical and pregnancy scars, her body is almost unrecognizable, even to her. It is now a machine. The grief and memories of the children she lost, will always be a part of her, as she will never be the woman she was before then. She has been broken, but also made new, and made stronger. She has been tested and scarred, and is not only an athlete and warrior, she is a mom, who lives as a role model to her girls of what it means it means to live life fully, in memory of those little ones who cannot. As I sit here writing, feeling my own baby moving and living within me, Renee’s story is a nightmare that mothers pray will never happen to them. Miscarriages. Losing children. You worry about your children long before they are ever born. A child who has lost their parents is called an orphan, and someone who has lost a spouse is a widow. But there is no word for someone who has lost their child. There are simply no words - just a broken heart. Yet somehow time keeps moving, and though one can never be the same, you can become stronger than you ever imagined.